Pull Out All the Stops in Faith! 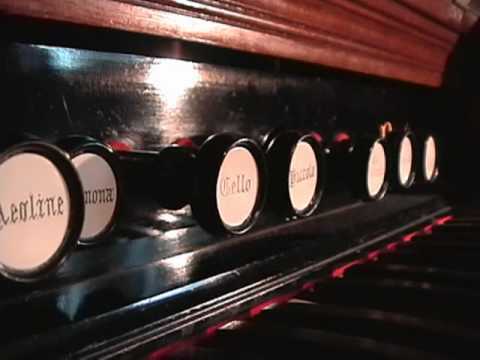 The old pump organ still plays after all these years. I rarely try it anymore, but I still remember how. There is a row of “stops” that you pull out and push in to make different tones. Each one has a name. If you push all the stops in, all sound is silenced. No matter how hard you pedal those old pedals or pick at those ivory keys, not a single sound will come forth. If you pull out all the stops, it makes the richest most resonant tone ever. Without pulling out all the stops you get half measure of what the organ’s sound can fully be. Oh beloved, have you been living with half measures? Are you reticent about trusting God completely? Are you thinking it might be dangerous to live full throttle with Him? It’s time to pull out all the stops! Don’t hold back another moment. God has wondrous living for you, glorious plans for you and magnificent blessings lying in wait for whoever decides to play the music of life while pulling out all the stops. Pull out trust, faith, hope, joy, forgiveness, and more! You don’t want to live life without the sound of the Lord’s glory ringing through you? Others are waiting to hear, others need to know and still others want to find hope and faith themselves. The best way to play God’s music is by ear – reading His Word, seeking His face and then living it out for all it’s worth. God will never tell you to tone it down, hush it up or quieten your faith! He’s in the wings with the angel armies of heaven rooting you on to pull out all the stops and have a lavish life of faith. Others may have tried to silence the music of your heart through fear, rejection, intimidation or humiliation, but that’s not God. The enemy would like you to think that you have nothing to offer, nothing to play and no one who would listen. But God’s music played God’s way is beautiful and will draw others to Him. Fear will keep you silent, fear will keep you ineffective, but the Holy Spirit will give you songs to sing and music to play, even in the night watches when it’s just you and Him. Practicing His presence with all the stops out will give you confidence to live a life fully for Him. Don’t hold back one thing! God loves you and He’s for you. Pull out all the stops with Him today! Together you and the Holy Spirit will make beautiful music and your faith will grow stronger and stronger as you live in the Light of His Glory and Grace. Your life is a sonnet of God’s wonderful love and care! Romans 15:13 Now may the God of hope fill you with all joy and peace in believing, so that you will abound in hope by the power of the Holy Spirit. Psalm 103:1 Bless the Lord, O my soul, And all that is within me, bless His holy name. Ephesians 3:20-21 Now to Him who is able to do far more abundantly beyond all that we ask or think, according to the power that works within us, to Him be the glory in the church and in Christ Jesus to all generations forever and ever. Amen. Psalm 96:2 Sing to the Lord, bless His name; Proclaim good tidings of His salvation from day to day! 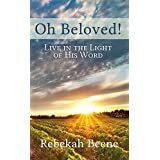 This entry was posted in Uncategorized and tagged abundant life is yours, don't hold back from God, don't let the music be silenced, Ephesians 3:20-21, Nehemiah 9:5, pull out all the stops. Bookmark the permalink. 1 Response to Pull Out All the Stops in Faith!